Supra-Aural headphones or circum-aural headphones? In this guide we will take the important criteria to choose its new headphones and also introduce you 3 headsets which are the most widespread in middle of professional game. Hyper Cloud II is a very good pick, it is not for nothing that it is used by great players. The strength and the finishes of headphones are impeccable, the comfort of use is with appointment and sound rendering is excellent. Microphone is of quality, removable, and it faithfully restores your slightest movements of lips. Offered around €99 on most online sales platforms, the headphones offer a very good ratio price/quality. Note that it is also compatible with PS4, Xbox One and Mac media. Attention, if you want to acquire it for your Xbox, you will need to order an adapter apart, it is not supplied with the headphones. 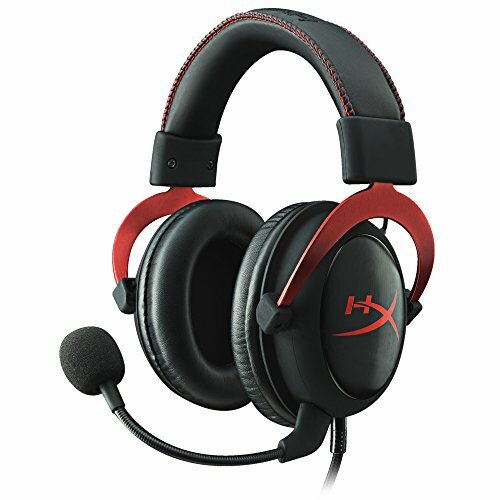 Kingston hyperX Cloud II has headphones of a size of 53 mm, displaying a sensitivity of 98 DB for a weight of about 350 grams, micro included. Cable is expandable as needed (1 m base to more than 2 m). You can also find 3.5 mm jack socket, compatible with all devices using the same output type. A mini remote control allows you to control the volume but also the recording level. An option allows you to virtualize the sound in 7.1 with a button on this small controller. Sound card is also onboard. Microphone is also quite sensitive, with a frequency of operation oscillating between 50 – 18000Hz. Famous remote control allows you to independently adjust the sound level of headphones and the microphone. The 7.1 button, placed in the center, allows to activate the spatialization of the sound: Unfortunately, most of time, it seems to end up in a shed with huge reverberation. There is also a button on the side of mini remote control: by sliding it on one side or the other, the microphone function will be activated or locked. It is also possible to clip the remote control on a garment, so as to prevent it from dragging anywhere. Attention to the length of cable, you may walk on it or interfere with the feet of your office chair if you are not attentive. Headset is made of both aluminum and plastic tape, it is quite durable and a very nice work has been done at the finishing level. At the touch, one senses directly that headset is very sturdy and that it was designed to be used over the duration. Hoop is covered with a foam that adapts to the shape of your skull, which is covered by leather. HyperX logo is embroidered on it: whole is comfortable, the finishes are good and the quality is at the appointment. However, the maximum opening of the headset (42 cm) will not suit the most massive heads, one would have appreciated a slightly larger opening. Black atrium are covered with an aluminium surface with the HyperX logo. The foams used to cover the ears are very fluffy and encompass them well, they are also covered with leather. Two types of earpieces are available: velvet or imitation leatherette. No matter what coating you choose, both are very comfortable. On the underside of left atrium, a small rubber cover protects 3.5 mm jack input. Indeed, the microphone is removable and you can play very well without, just to enjoy the excellent sound generated by the Cloud II. You will also avoid getting dust through this little cache. A detail certainly, but that has the deserved to be underlined. The complete package therefore includes: headphones, a pair of velvet atriam, the mini remote control/USB sound card with its 2 m cable, a removable microphone and a 3.5 mm jack adapter.Also note that the microphone is flexible and can be moved to position it in the proper way. There is also a foam on the tip that helps to attenuate parasitic noise. We no longer present Razer, an indispensable company in the world of video games. The brand of three green snakes has become a real reference in the gamer’s equipment. Yet it is no longer a week without a new reference appearing, and it has now become difficult to put its sights on a particular product. In the audio category alone, Razer has more than 20 different products. So what to choose? 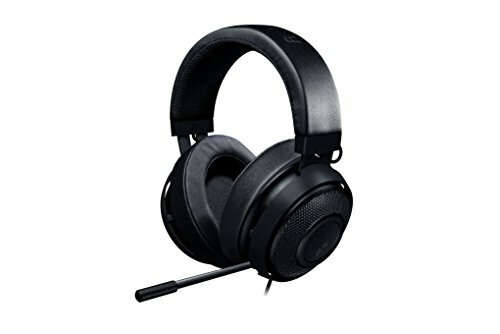 Is this Kraken Pro really as powerful as it suggests? The answer below. Kraken Pro is really good headphones, with much more qualities than flaws. The most angry of you can go there with your eyes closed, it is very solid. Comfort level, you will have to take its pain in patience and wait a few days for the headset to go beautifully. Once adapted to your head, it is also very nice to wear. Do you already have Razer mouse or keyboard? So go ahead, this Kraken Pro will agree not only with your other peripherals, and Surround will not be a barrier for you. For others, it will be necessary to adapt to powerful bass, or to sacrifice a little disk space for Synapse. For fans of numbers, Kraken Pro offers us frequency of response equivalent to 20-20 000 Hz. Houdspeaker have a diameter of 40 mm with neodymium magnets. The inner diameter of each earpiece is 50 mm. cable measures 1.3 m, and 2 m extension, which makes us a total of 3.3 m of thread to be set on the desk. Headset weighs about 293 grams. Microphone has a frequency of 100-10.000 Hz, and a one-way recording mode. The less audiophiles will be perfectly satisfied, but for sharpest of us (who also want to listen a lot, a lot of music), this Kraken Pro will not suit their expectations at all. There is a solution to this problem, and it is simple. It’s called Razer Surround. Surround is a software delivered by Razer that performs a work on the sound to simply improve it. Once the software is installed and configured, Kraken Pro makes sense. Sound is clearly corrected, and the bass is much less present. The rendering is much more true to reality, and even spatialization is enhanced. Kraken Pro is declined in 3 colors: black, green, and more recently white. These three editions are completely identical to the level of the shape, only the colors change. hoop is covered by two materials, with on top leather imitation fabric. An inscription “Razer” is present in green, history of well make you notice. The underside is made of a breathable spun fabric, which allows a better holding of headphones on the head. Hoop itself is not metal, but plastic. Nothing to be afraid of so much, it all seems very solid. Houdspeakers are round, black, too. They are covered with a metal grate, and decorated with Razer logo in the center. Pads are made from foam to memory of shape, covered with a leatherette. From this moment, one can qualify Kraken Pro very good headphones. Its comfort is more than adequate, and the sound is pretty well rendered. For the rest, it’s a matter of style. Among the range of headphones that SteelSeries offers, the best-known is probably the Siberia V2, very used by gamers. We propose you to discover this model by trying to guess what makes its popularity. What comes out of the box: A headset with a simple design and almost all plastic. It is rather sober and in a way it is what pleases in this headphones. You will be able to count cable with a length of 3 meters with this headset which should be ample enough for any type of installation. Very good point for Siberia, the cable can be shortened to 1 m for very close use of the PC by removing the “extension” of 2 meters, easy to unclip. Great practice not to entangle the yarn in the feet of your chair. There is also a small box on the headphone wire that allows you to mute/unmute your microphone and reduce the headphone sound without having to go through your voice software or PC settings. Still a good practical point for Siberia. Finally, you can note the retractable microphone that allows you to easily transport, store or even move the headset without fear of damaging the microphone. This can also be useful to simply listen to music without giving you the impression that you are currently in conversation on Skype. If you are not interested in white, you will have the joy of discovering that this headset is offered in many colors. From green to orange to purple, you will surely find the color you like the most. With this headphones, SteelSeries aims everything in simplicity. Just plug in headphones to instantly be able to use it. No software, no installation, the headphones work as soon as the connection and this is a good point for this little gem. We also note that it can be plugged into your tablet, smartphone, etc… an all Simplicity. Always level use, headband is very well thought out and allows to keep the headphones on the head for hours without making the presence what is paramount for a gaming headphones. Nevertheless, it should be noted that it can sometimes heat the ears after a long and intense gaming session. One can still talk about headphone too simple. A headphone with very basic microphone that will be problem if you count stream or other since the quality will be far from sufficient. A medium quality sound also, even low-end since it is only the 2.0 stereo that will offer you the Siberia, which is far from the best audio experience you can offer in the gaming headset market. Finally we can talk about his price, it is not especially expensive but it is not given either. You will find it new and without discount voucher of 85 euros. We must therefore remember that Siberia is primarily a headphones focused on the “practical” side and that it is there to seduce the gamer lambda by its simplicity and its numerous accessories (cable extension which can be removed, retractable microphone, headband). Nevertheless, it has the failure to heat the ears, it lacks features and it offers medium range tools. New criteria for choice are at stake and here are some important concepts in order to choose the best gamer headphone, adapted to its needs. Headphones designed for gaming are generally circum headphones, that is, their wide ear-piece will come to cover the ears entirely by posing on the skull. As for supra-aura headphones, they sit directly on the ears, which will create a light space where the surrounding noises can spawn a path. Because gamers need to be completely immersed in the game, Circum-aural headphones will be much more effective as they bring a very good insulation. 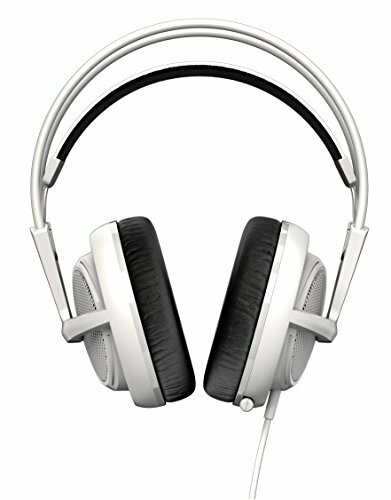 Sound performance of a gamer headset has very different criteria of classical headphone intended to listen the music. While audiophiles are looking for a linear sound, well balanced across the spectrum of frequencies, gamers are looking for a powerful and cinematic sound. Gamers ‘ headset are often “boosted” at low frequencies to bring power but also in the treble to perceive the slightest detail. It should be said that the sound reproduction of the headphones must be excellent and well balanced so as to be able to discern the music, sound of the game and voices of its partners. Essential part of headphones, integrated microphone must be of good quality as it is an indispensable element to provide information to his teammates. Microphone must be directional in order to be able to capture voice, but also good qualities not to capture the surrounding noises. Thus, players will be able to appreciate the comments of everyone in a noisy world. In order to accompany the gamers for long hours of play, microphone headset must be comfortable. Design of rollbar and pads are important because they must be perfectly adjusted to the size of head to avoid too much pressure.